A real-time strategy set in a fantasy world where animal revolution is in full swing. It's an all-out war between the Commonfolk, the Civilized, the Longcoats and the KSR about everyone's place in the food chain. In the game's Story Mode campaign you take the role of Arroyo Bellafide, leader of the Longcoats, and must build a fortress with defensive emplacements and charge into battle leading drunken squirrels to war. Tooth and Tail supports up to four players and includes split-screen support, as well as online play. Maps are randomly generated and factions can be customised. The game features an original soundtrack by Grammy Nominee Austin Wintory. Tooth and Tail was released on Linux, Mac, PC and PS4 586d ago in the US and the UK. 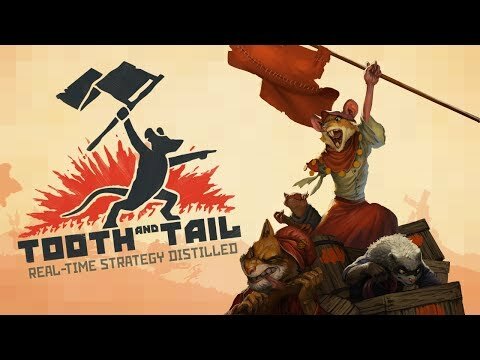 Notify me when Tooth and Tail is available.